Angela Findlay is a British artist and received her BA (Hons) in Fine Art from the University of West of England, Bristol, in 2010. 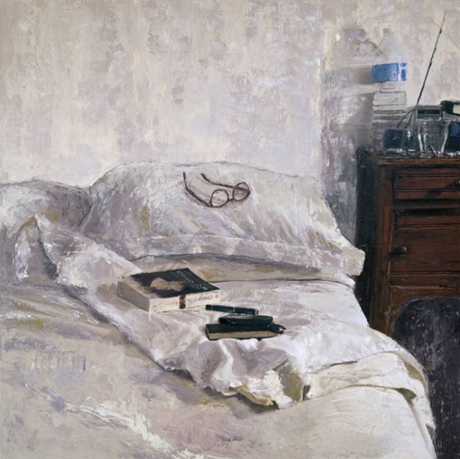 This painting is titled “His side of the bed”. You can view more of Angela’s work through her website. Thank you for posting it, her website is very nice and interesting to look at!